Mainstream culture emo broke out around 2002, starting with bands like Jimmy Eat World, Dashboard Confessional and New Found Glory. In the wake of this success, bands like Taking Back Sunday and My Chemical Romance were signed to major labels and songs from Fall Out Boy and AFI peaked at number one on the Billboard Hot 100 charts. Although an emo revival occurred in 2010, true forms of emo either disbanded or moved on to more of a pop-punk sound. 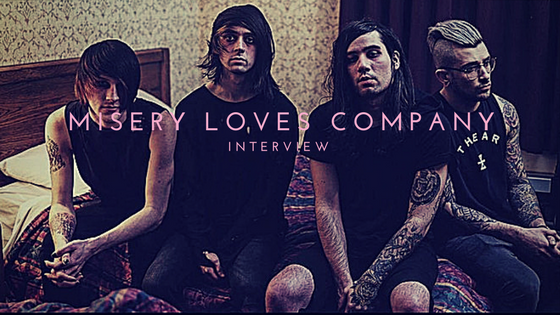 Despite the genre’s popularity decrease, Misery Loves Company is here to prove that emo isn’t dead. Their newly-released EP, Love Notes and Highways, fuses their post-emo sound with everything you loved about artists like Senses Fail and The Used. Jimmy Ruggiero and Mike Williams played in a band together before realizing that they weren’t playing music that they loved anymore. With a new sound, new members and new name, Misery Loves Company was born. They combined their love for early 2000s emo jams and Tim Burton films with influences from today to modernize the emo era. “We’re trying to bring back something that was once here and that is actually true to the fans,” Williams said. Love Notes and Highways is lyrically a vulnerable record. It touches on strong subject matters such as mental illness and relationship issues while making each track both personal and relatable. The record’s inspiration came from a relationship of Ruggiero's that was also eerily similar to a relationship of Williams'. During the writing process, they were easily able to bounce ideas off of each other and create something that resonated well. “A lot of blood, sweat and tears was put into this album,” Williams said.